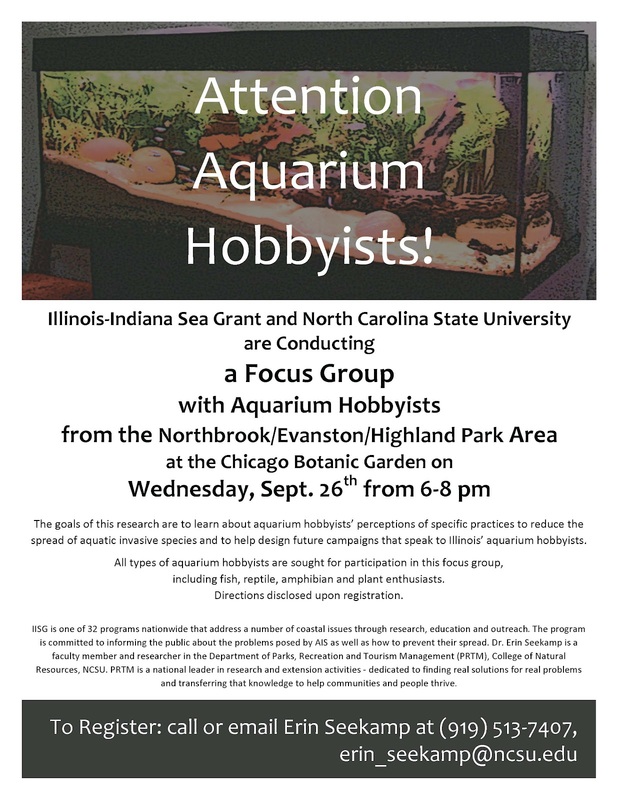 Two focus groups are being held to help Illinois-Indiana Sea Grant better understand and design aquatic invasive species information for water gardeners and aquarium owners. 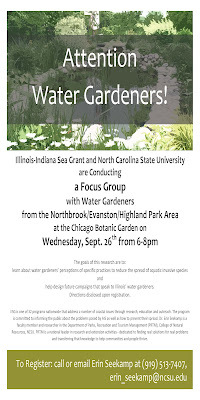 The first is Wednesday, September 26th in Glencoe, IL, and the second is Thursday, September 27th in Peoria, IL.  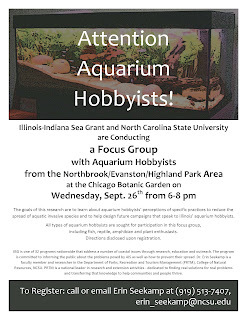 “In partnership with the Illinois-Indiana Sea Grant, Erin Seekamp (Assistant Professor, Department of Parks, Recreation and Tourism Management, North Carolina State University) will be conducting one focus group at Chicago Botanic Garden in Glencoe Illinois on September 26th from 6-8pm and another one in Forest Park Nature Center in Peoria Illinois on September 27th from 6-8pm. View the posters attached here and share with others. 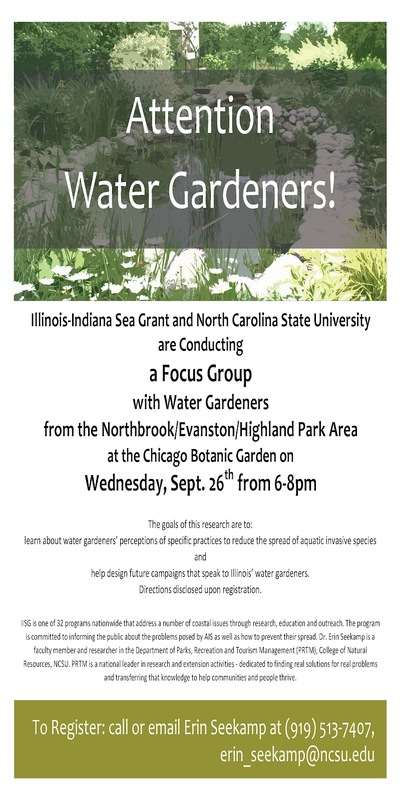 This is an important opportunity to help IISG understand and reach a wider audience, and to continue working to protect and preserve our water resources.